Trust us,your daughter won't destroy it easily.Easy washing,not the ball for a long time. THE MOST IMPORTANT:No see through.Chemicals stay away from your girls. SATISFACTION GUARANTEE:If you are not satisfied,we will give you a full refund. HIGH QUALITY :Your daughter won't destroy it easily.Easy washing,not the ball for a long time. THE MOST IMPORTANT :No see through.Chemicals stay away from your girls. 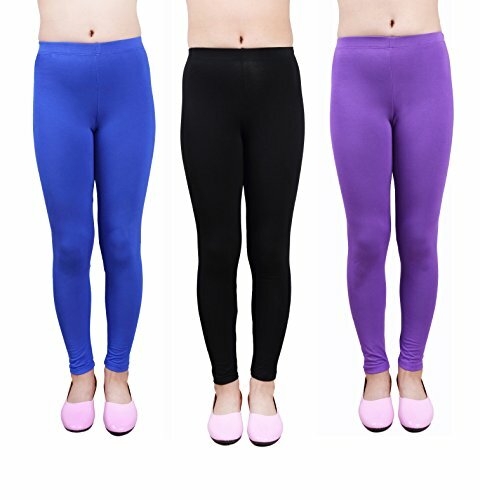 FEATURES :3 pairs of per pack.Full ankle length.Elastic waist band keeps her feeling comfortable. MULTI-FUNCTION :Keep warm all day.Perfect for cute tops,tunics,under skirts,dresses,school uniform. SATISFACTION GUARANTEE :If you are not satisfied,we will give you a full refund. If you have any questions about this product by IRELIA, contact us by completing and submitting the form below. If you are looking for a specif part number, please include it with your message.